With project Autonomous, Vincent Everts aspires to boost the use and development of the Internet of Things (IoT). Everts is passionate about the digital transformation currently affecting society and puts his newest, self-propelled Tesla Model X as role model in this development. "Everyone is already connected through a smartphone. Now we will connect another 50 billion devices and sensors through the Internet of Things, which produces a huge amount of data and will change all industries", Everts explains. "The network becomes smart, knows everything and reacts faster. Autonomous becomes standard. Not only will prices for services and products drastically drop, these developments also contribute to the necessary 50% of energy savings. Clever products to share as a service, we will also use a lot less stuff with quite a comfortable existence." The trend watcher sees CM a major player in the development of IoT and digital identity. Everts: "CM plays a crucial role in IoT as the company handles billions of trusted transactions worldwide. They ensure that important information arrives at its destination. The authentication services CM supplies are an essential part of the self-managing society. After all, we must prevent that systems can be used without authorization." Joris van der Waart, CMO of CM, on participating in project Autonomous, "CM provides the technology enabling companies to communicate with their customers and consumers on a global scale. That's why we work together with Vincent Everts and why we have created MoCo. That knowledge and inspiration we use for our customers, partners and to inspire ourselves and inquire about what is possible in mobile." 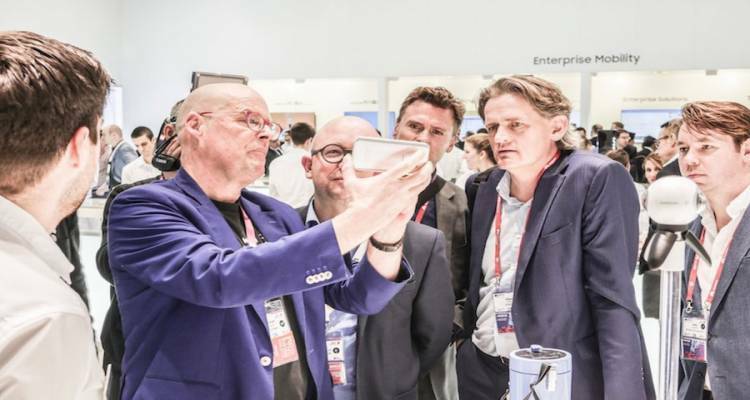 The first result of the collaboration is visible during the Mobile World Congress in Barcelona, ​​where Vincent Everts will inspire visitors with his experience and knowledge of the latest trends. Other participants in Project Autonomous are KPN, the Volksbank (SNS), Rijkswaterstaat (Connecting Mobility program) and the Payments Association (iDIN).